By 2021, it is estimated that 82% of all internet traffic will move towards video. This indicates that in less than 5 years, marketers are going to broaden their content from text-based to video. It also tells us that this is the perfect time to start a YouTube channel and cash in on it as well. 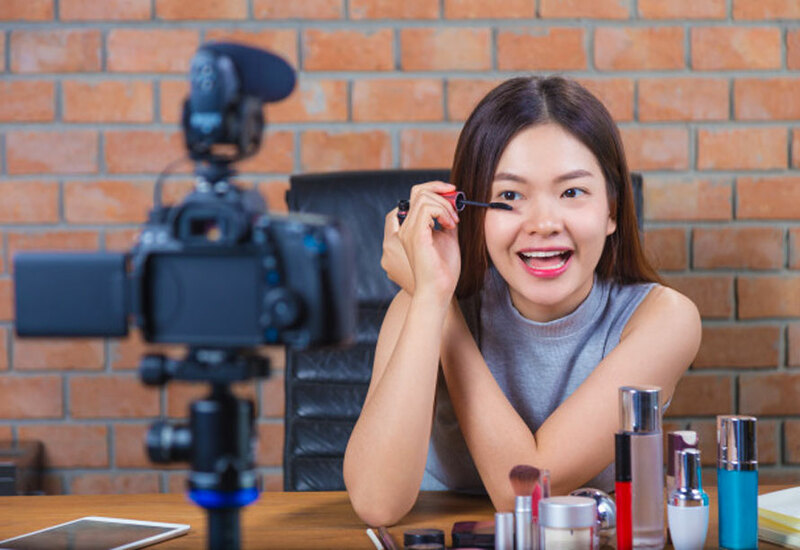 With more than 1.57 billion monthly active users around the world, YouTube is the channel to build your personal brand as an influencer and boost your visibility. The first thing you need to do before creating a YouTube channel is conduct some background research. Why do I want to start a youtube channel? What is my YouTube channel going to be about? What are the current YouTubers doing that I can learn from? 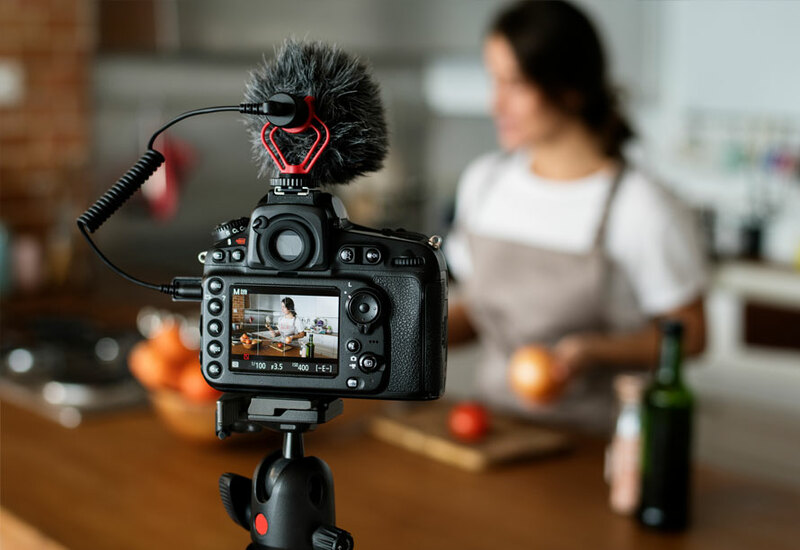 People start YouTube channels for different reasons, the most common being to promote their business, build a personal brand, showcase their talents and share their hobbies. It is great to experiment and try out different things but it’s better if you figure out from the beginning what exactly you want your channel to be about. Do I really have passion for this topic? Is there demand out there for this topic? Is Youtube oversaturated with this topic? If yes, how can I stand out then? Some topics that are currently really popular on YouTube are: tutorials, vlogs, tech, product reviews, healthy lifestyle, how to’s, fashion, beauty, food, travel, comedy and life stories. How do they engage with their audience? What kind of comments do they receive? A content plan: This is a calendar complete with dates, topics, when to do the shoots and anything else that will go into creating your YouTube content. A catchy and memorable name for your YouTube channel: Your channel name is crucial since that is your brand. An important tip is to have the same username throughout your other social media channels to brand consistently. You can also use your other social media channels to promote your YouTube content but first study how each works so as to make the best of each channel. Search Engine Optimization (SEO): For people to discover and watch your content, you need to rank highly on YouTube search results. That is where SEO comes in. Ensure you always put up high quality videos that draw people to like, comment and share your videos which in turn boosts your search result rank. 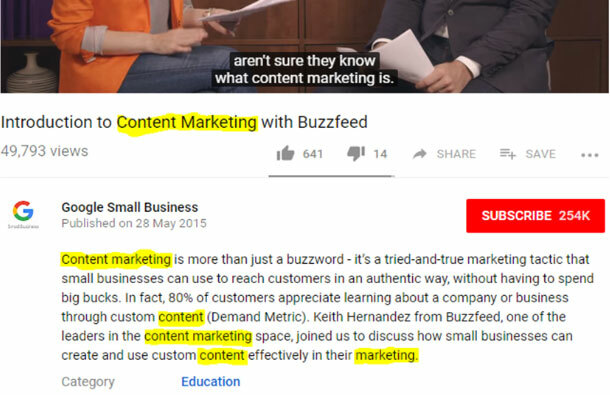 The right keywords in your title and description box of each video: Keywords are those words/phrases that searchers enter into a search engine and that is why they must be included in your title and description. A launch date: Set aside a day when your content will be going out. This is important because it will help your subscribers know when to expect new content. Start out by posting once a week and you can increase the frequency with time. A pipeline of ideas for future videos: Always carry a notebook and pen to note down random content ideas so you can build a pipeline of ideas. Among the things you need to be a YouTuber are basic video equipment. YouTubers make it look so easy but creating good quality videos that are visually appealing is harder than it seems. However, you do not need to be perfect when it comes to the whole video production process. All you need is the right equipment. Camera: Obviously, your most important equipment is a good camera. You do not need the most expensive camera when starting out but any camera that can record high quality videos of at least 1080p. You can get a good quality camera from Ksh. 10000 – Ksh. 25000. Smartphone: A smartphone with high resolution front and back camera is also a necessity. This is because at times you may want to shoot outdoor vlogs where you don’t necessarily need to carry a camera. A good smartphone will set you back Ksh. 15,000 – Ksh. 20,000. 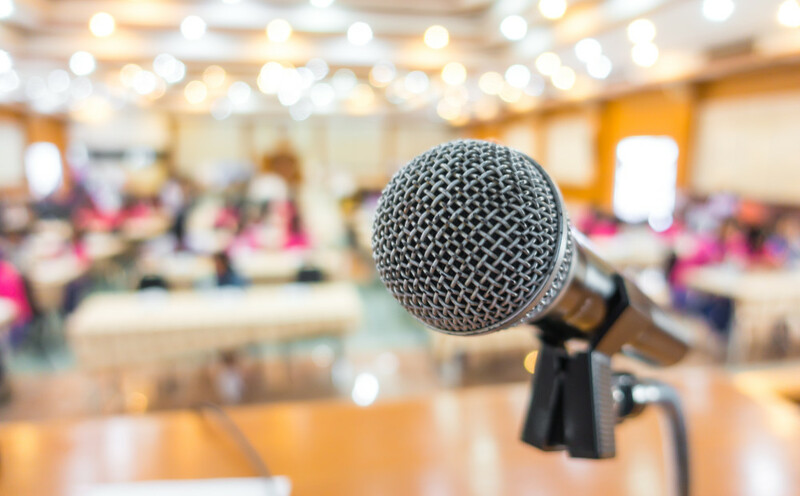 Microphone: It doesn’t matter whether your video is of the best quality, it’s hard to keep your viewers watching with poor audio quality especially since the built-in microphones in cameras and smartphones are not always the best. A lapel mic is the best to start with since it can be easily clipped onto your clothes. You can get a good one for only Ksh. 1800 at Jumia. Tripod: A tripod basically ensures your video footage is steady. One goes for Ksh. 2500 on Jumia. Lighting: If you plan to shoot most of your videos indoors, lights are important to stabilize the brightness and mood of the video. One approximately costs Ksh. 17,000 but you can get them at discounted prices at Jumia. Flash Disk: As you keep shooting more footage, you will eventually fill up your computer space so having at least a 32GB flash disk can help with the storage. You can get one for Ksh. 2500. Laptop: It is essential to invest in a good laptop where you can edit and post your videos from. You can get a second-hand laptop at Ksh. 20,000 but it’s better to invest in a brand new one that might cost anything from Ksh. 40,000. Video editing software – After getting all your basic hardware, you also need to invest in a good video editing software for post-production. There are a variety of software’s you can use either as browser or desktop apps both free and paid. Most of them have a 30 day free trial after which you have to pay a fee. As a beginner, we recommend Wondershare Filmora which most youtubers use. You can also check out ShotCut, HitFilm Pro and Cyberlink Powerdirector 18. You have the freedom and flexibility to run your channel as you wish. You don’t need a degree, work experience, office, etc. All you need is your equipment and great content. You can earn money directly from YouTube by enabling your channel for monetization through setting up a google adsense account where you can earn a certain amount every time YouTube runs an ad through your video. You can learn more about this here. With time, you can approach or be approached by brands in your target content area to market their products at a fee. You do not need startup capital. Even if you do not have all the equipment from the beginning but start with what you have and you can get better equipment with time. YouTube is also the only video platform that makes it so easy to share content on other social media channels, embed videos in websites etc. This makes your video distribution so much easier. You will also get to meet and interact with a lot of new people in your comment section only if you actively engage them. Managing your YouTube channel will also boost your confidence, you will gradually learn how to present yourself better, you will learn so much about the topic you are creating content around and all these will contribute to your own personal development. If you are starting from scratch, with no smartphone, no laptop etc, getting all the devices may be more expensive than someone who already has some of them. One thing that for sure you will not avoid as a youtube beginner is negative comments. Even the best of the best in this field get them. You just need to have thick skin, learn from the criticism and encourage yourself with positive self-talk. Also be prepared for a lot of competition and at times even copycats. Don’t let this derail you though. Stay true to yourself. Prepare yourself for a lot of work. As a YouTuber, you take the role of a whole production process. From graphic designer, video editor, social media manager, content creator, etc. One thing we’d like to stress is the numbers will not be encouraging initially. Your first videos will probably get 2 or 3 views but don’t obsess about that. Be consistent and your following will grow with time. Is being a YouTuber something you would consider? Let us know in the comment section. Kenya is a growing nation and everyone seems to be moving towards making it a 24 hour economy. People are either busy at work or at their business. Many are the times that these people need to run errands but they don’t have the time! What could be better than having someone to run these errands for you? George Kamau is the founder of HCS Errands, a company that runs a variety of errands for people who may be too busy to run them on their own. This is an idea that was conceived by coincidence. As George was busy looking for a job from office to office and getting little to no response he noticed one thing. In most of these offices he visited he would hear of the receptionist either struggling to get someone on phone to deliver company documents or they would be complaining about delays in the delivery of their documents. It occurred to him that this was it! It was time to try and venture into the world of entrepreneurship. Running errands such as delivering packages among other services would be his entry point. If there is one challenge that every entrepreneur faces across the board, it’s being able to stand out from competition. Do you ever feel like everyone in your industry is doing the same thing, sharing the same message, using the same tone and style? Standing out from competition may be a difficult task but it’s not impossible. There are major brands that have built strong brand identities for themselves and acquired a large share of the target market in their industries. As a small business, you can still use the same strategies as your competitors but add a unique spin that makes you unique. 75% of customers state that they consider customer care as a true test of a company’s competence. Whatever business you are in, create an environment where your customers don’t want to leave. Great customer service is about making sure your customers feel valued and this does not even have to be expensive. Simple things like calling to follow up if a customer’s issue was resolved, listening and acting on customer feedback, calling a customer beforehand to remind them of an appointment they made stand out and make a customer want to keep coming back. Another way you can stand out is to be honest with your customers especially if you know you cannot meet a specific need they have. This helps build trust instead of hiding some information or even lying just to make a sale. Having a guarantee is a great way to draw people to your product/service and boost sales. Guarantees communicate your company’s commitment to stand behind the product or service you provide and makes customers more confident in investing in your product/service. If your competitor offers 6 months warranty on their product, offer a 1 year warranty. You can guarantee that every call or email query will be handled within 24 hours. You can have a 30 day money refund for customers who will not be satisfied with your product/service. Depending on your industry, figure out what guarantees you can provide that will make you stand out. In this increasingly competitive business environment, innovation is vital to the success of your small business. Being innovative provides an edge and boosts your company’s growth and profitability. 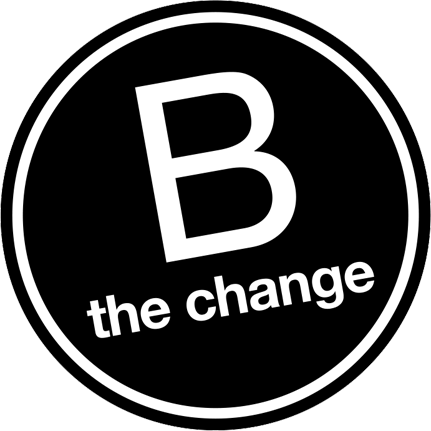 Innovation doesn’t have to be a complicated, world changing break through. Even the simple improvements in how you do things can be innovative and stand out. Embrace green energy, it’s much cheaper, reliable and cost effective. Having talent, education and experience is no longer enough to survive in today’s competitive economy. Neither is offering the best product/service in the market. Key soft skills such as having a good attitude, having good communication skills influence how likeable you are personally and professionally. Be reliable – Being consistent and dependable will help you win contracts and maintain your work relationships. Be honest – In every tough choice you have to make, choose honesty over deception. Have a great 1st impression – Whether you like it or not, people are going to form judgments about you the first time they meet you. Make sure your first impression exhibits your professionalism both in real life and on your social media handles. Narrowing down your target market can be quite tricky. It might not make sense at first since we all want a bigger market so that we can make more profit, right? Assuming that everyone is your target market when starting a business is a big mistake most new entrepreneurs make. You end up spending time and money attracting them while your actual target market who needs what you offer doesn’t even know you exist since you are not directly targeting them. If you want to stand out from your competitors, narrow down your market, figure out the little details including what challenges they face, what their needs are, where to find them and how to effectively deliver your message to them. Are you an entrepreneur? What do you do to stand out from competition? Let us know in the comment box below. Is entrepreneurship a solution to the massive unemployment challenge in the country? Some would argue that young people should rely on their own hustles to make a living due to the huge gap between available jobs and the number of qualified people. However, other people are of the view that entrepreneurship is a tough game that has its own obstacles such as raising capital, acquiring licenses and the huge rate of entrepreneurship ventures that have failed. 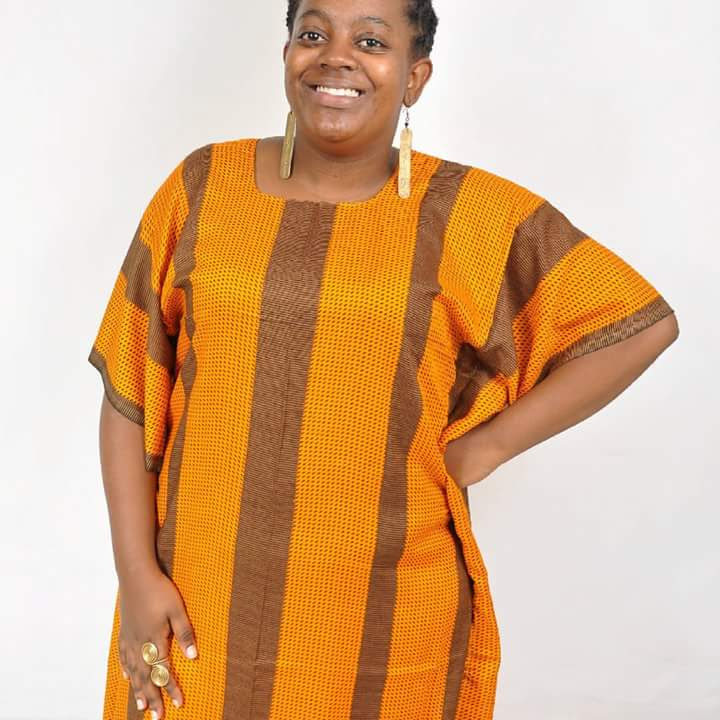 This was an interesting conversation I had with Joyce Wagaki, an entrepreneur who started from scratch and is slowly building her brand in African inspired fashion. If you had told her 5 years ago that she would be a successful entrepreneur, Joyce would have laughed that idea off as impossible. How could she be an entrepreneur yet she was a Journalism and Media Studies graduate, with an amazing voice and a ‘bright future’ in the media industry? “Before I graduated, I got a 3 month internship at a leading media house. We did a voice test and my voice set me apart from the other interns landing me reporting duties both on radio and on the lunch hour T.V bulletin. I knew then that my goal in life was to be a news reporter and eventually become a news anchor.” Joyce said. After finally graduating from media school, Joyce was positive it wouldn’t be long before she got a job. She prepared her C.V and her Cover letter and started applying for reporting jobs in the media. She didn’t get any positive responses immediately but she kept applying, kept working on her C.V and following up on the jobs she had applied for. About 3 years after her graduation with no success in getting employment, Joyce’s sister who was accommodating her in Nairobi got another opportunity in China leaving Joyce to fend for herself while sending her money from time to time for her upkeep. Seeing her job applications for news reporter/news anchor were not bearing any fruits, she went an extra mile and sent her C.V with voice recordings of herself hoping this would set her apart. Unfortunately no station picked her and this left Joyce frustrated and disappointed. One day, Joyce’s sister saw some handbags in China which had unique prints. Amazingly, the bags were so cheap. She reached out to Joyce and asked her if she would be interested in selling the bags in Kenya. Joyce’s sister sent the first batch of 20 bags and 20 ear rings. True to her word, the bags had a unique design and print compared to the bags in the market then. However, this whole time, her mind was still set in the media. She sold bags during the day and in the evening, she did her recordings and kept applying for jobs. This experience made Joyce rethink her initial decision of being employed full time in the media to actually taking entrepreneurship more seriously. Her sister kept sending her bags from China and with time, she expanded her collection to leather bags which were more official compared to the printed ones. She even opened a face book page, Bags and Leather to take advantage of the online market. Joyce sold the bags for a while and the returns were great, she was able to pay her bills but due to unavoidable circumstances, the bags business was not sustainable. “I had to think on my feet since I couldn’t keep running an unsustainable business and I still had financial obligations. I thought of going back to applying for jobs but considering how far I had come, this wasn’t an option for me.” Joyce said. One day Joyce had gone to Eastleigh to meet up a friend. However, as is the typical Kenyan style, her friend kept her waiting for over an hour. 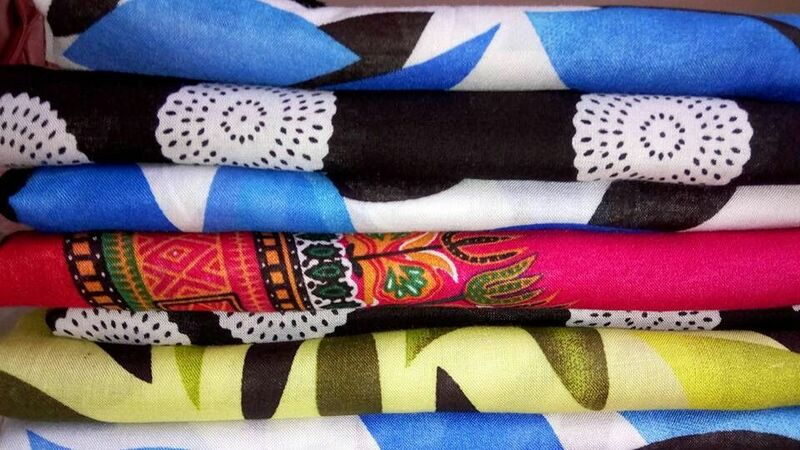 As she was window shopping, Joyce met some ladies selling deras. At the time, she didn’t even know what deras were since it was 2014 and deras were still a new concept in Nairobi. Joyce was so impressed with the end result that she wore the dera to church the next Sunday. Being a lover of taking photos, she took a photo of herself wearing the dera and posted it on facebook that Sunday evening. That was when Joyce opened Gaki Collections, a face book page that she used to sell deras. 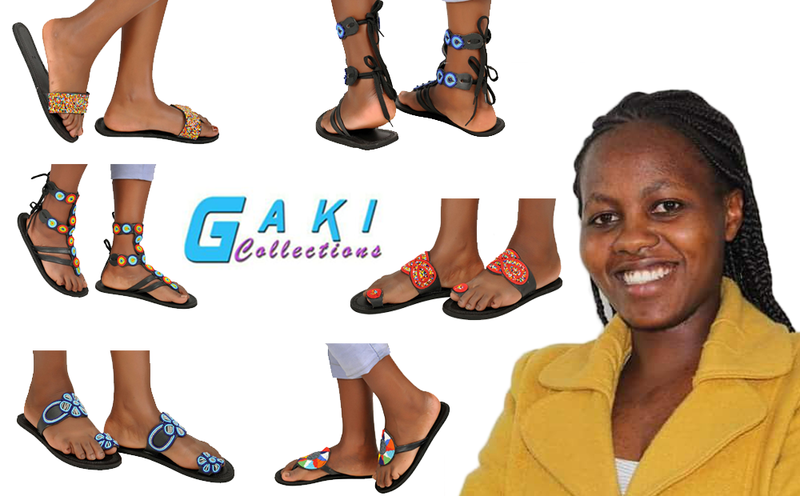 That is exactly how Joyce started the Gaki collection sandal line which consists of custom made sandals tailored to a client’s needs. 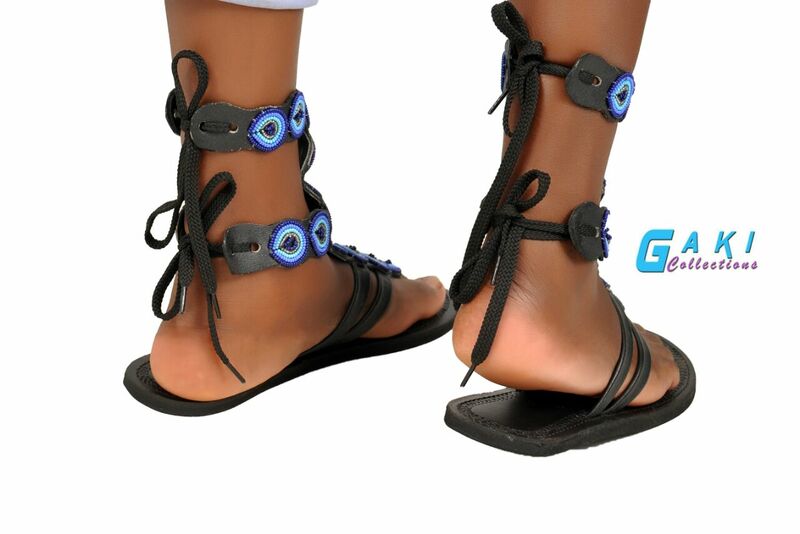 All a client needs to do is send details of their shoe size, what color and design they would like their sandals to have and Joyce makes sure she gets the sandals made and delivered anywhere in the country. Since my business was purely online, I knew there was more to social media and in order for my business and brand to grow, I needed to pick up social media and digital marketing skills. This year, Joyce plans to open a website for Gaki Collections and also open a shop in town. Our take-away from this interview is that we are all gifted in many ways. However, we need to have the heart to explore. You don’t need to close up your mind to employment as the only source of income, open up your mind to more possibilities. So what’s your excuse? Get up, identify opportunities around you and make a difference. Getting into entrepreneurship is becoming a popular trend among youth in Kenya. Starting a small bakery business is a profitable business idea you can explore especially if you have a passion for cooking. That said, owning a bakery business needs a lot of commitment and capital but it’s a great way to earn extra income. A bakery is also a good business idea because baked goods are quite popular and move quite fast. Baking also requires little to no formal training but if you need to sharpen your skills, you could consider taking a few baking classes. If a bakery is a business you would like to get into, here is what you need to know. Food handling Medical Certificate – This certificate makes sure people who handle your food are free from disease. It costs Ksh. 600 and is valid for 6 months. Food Hygiene Certificate – Valid for a year and starts at Ksh. 300 depending on the size of the business. 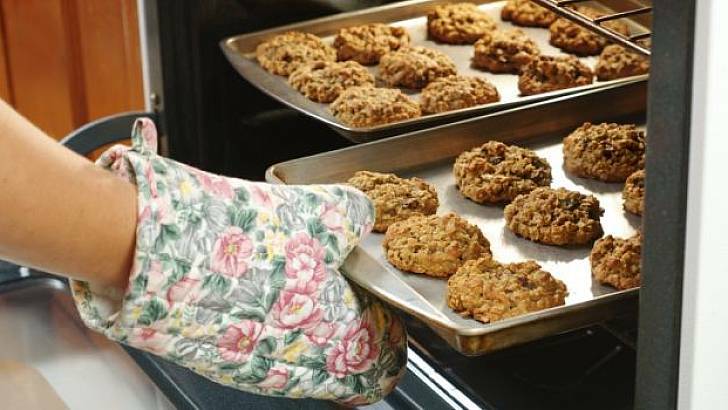 Get Your Recipes Ready – Create a list of all the baked goods you intend to sell. Start with a few items and diversify to more products with time. Prepare a Menu. Prepare a Price list that puts in consideration the cost of ingredients, labor and any other expenses. Get Your Ingredients Ready – Purchase all the ingredients you need; flour, sugar etc. Also purchase packaging materials, labels, boxes and anything else you’ll need. Marketing – Find out your target market. Baked products sell quite fast in offices, schools, canteens and local kiosks. Where exactly is your demand? Figure out how to grab the attention of your target audience by using specific marketing strategies like using fliers, posters, social media, etc. Network – Attend relevant events, workshops and meetups organized by bakers groups in order to grow your networks. Starting a small bakery will set you back any amount between Ksh.100, 000 – Ksh. 150, 000 inclusive of licenses and required business permits. Here is a breakdown of the basic items that you’ll need to start out. Depending on the quantity and demand of your baked products, you can make up to Ksh. 5000 a day. Price fluctuations of raw materials like sugar, flour. Baked goods are perishable thus they need ready market when they are still fresh. Just like any other business, starting a small bakery is not a smooth sailing venture. However, as long as you have figured out your target audience, get the required equipment, get the required ingredients, have your recipes in place, figure out your workspace, get all the required licenses & permits and a marketing plan, you are ready to go. In today’s world, working in line with a team of good employees is important if you want to attain success. Good employees will keep your business afloat in a variety of both predicted and unforeseen situations. Simply put, whether you are the CEO, manager, or undisputed company superstar, the future of your company does not depend on you. It’s all about your employees. For most companies, however, finding good employees has become hard and seems to be getting harder all the time. A recent study indicates that 68% of human resource departments report problems filling positions. This has gone up from 50% in 2015. If you can’t find good employees, here are ten tips to help you find a workplace dream team. Facebook, twitter, and other interactive platforms have not only changed how we do business but have also transformed how companies recruit employees now days. 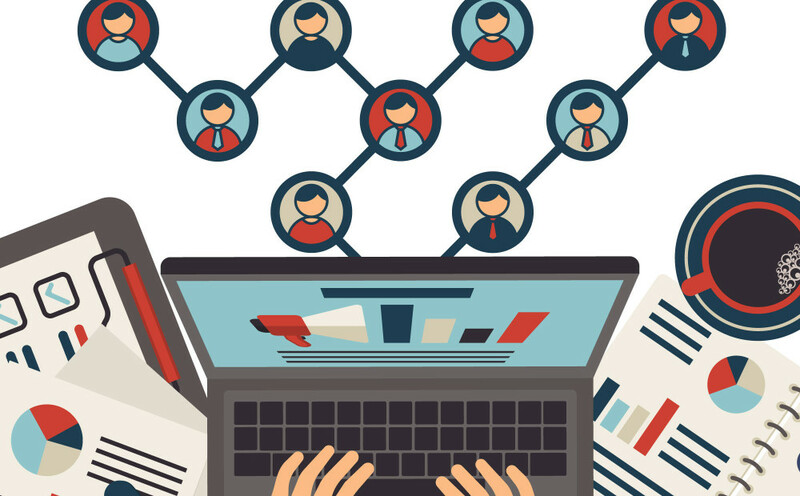 Hiring managers and recruiters are increasingly using social platforms to search for talent. You should also use these platforms to find employees as well. Use social media targeting features to reach people who match the talents, region, and even hobbies that you require. In-house recruiters are relying on recruitment agencies to fill vacancies. Recruitment organizations align their support with your goals and help you cut costs that you would otherwise spend on conventional methods of hiring and recruiting candidates. If you are looking for IT professional, for instance, you can partner with IT recruiting agencies to ensure you get exceptional IT experts. The world has evolved, and geographical limitations should not stop you from getting the employees you want. Technology lets you connect with people around the world. Use it to look for employees beyond your locality. Your employees know everything about your company and can give potential candidates a real insight to your business. They understand your company’s values and expectations and will help you bring in people with the necessary experiences and expertise. When posting a job opening, you want to make sure what you post compliments job searchers needs and ambitions. A simple research online and offline will help you know what job searchers want and help you come up with titles and content that match what most job seekers are looking for. Use your colleagues, former colleagues, and friends to get new talent. Those close to you know more about you and your company and will recommend the right type of candidate who would help you enhance productivity. Use mutual connections to learn more about a candidate. 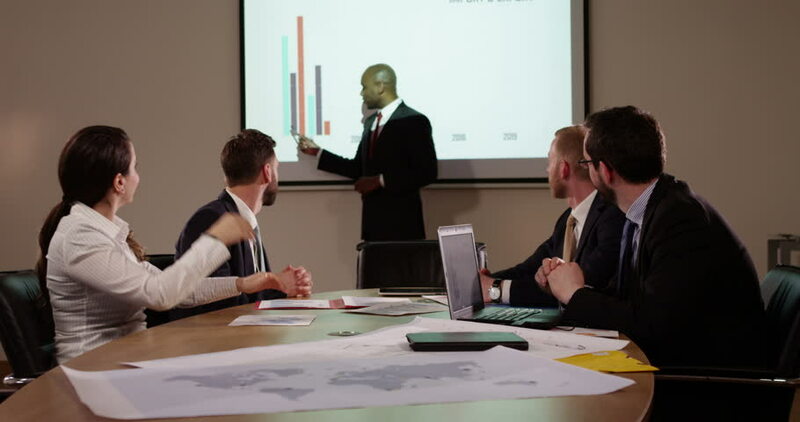 This will not only help you get competent employees but will also influence and motivate employees to live up to their reputation. Email communication has become an integral part of the recruitment process, and more recruiters are embracing it. When it comes to emails, job seekers are incredibly responsive and are more likely to pay attention to what you are saying. Use emails to reach the candidates that you need. Don’t let the resumes and data of previous candidates collect dust in your desk drawer. Use them. Previous applicants can be turned into a talent gold mine. They know about your company and are interested in working for you. Contact them. If you are in an industry where there is stiff competition, poaching for talent can help gain an edge. 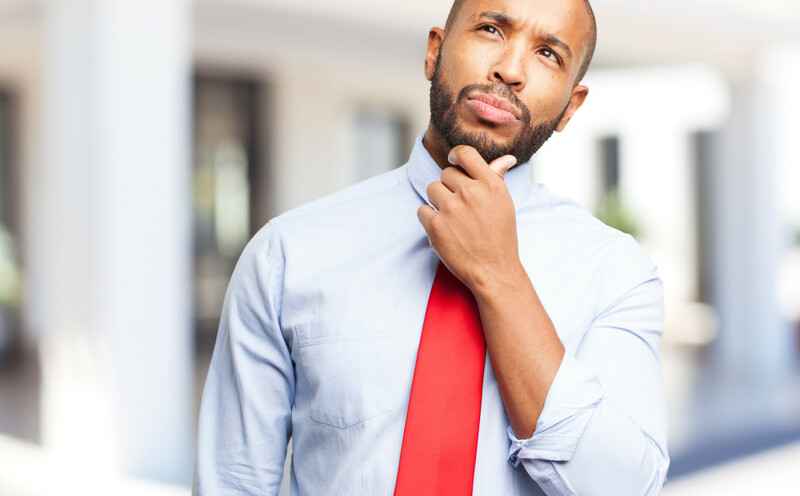 A recent study reveals that employees who are contracted to work for an organization that competes with a former employer come in with enhanced energy and motivation that translates to increased productivity. Investing in paid internships will help you lure the brightest and most talented candidates available on the job market. Internships allow you test the waters and help you identify which of the interns suits your needs and wants. Final Word – With these tips, you will certainly find a workplace dream team. Show me a successful entrepreneur who has never failed not once, but multiple times. Whether its investing all their savings and losing it all before the business even takes off, having extremely harsh competitors who can do anything to keep someone else off their monopolized market or even business partners walking out on you. The list is endless. If you are in business, or looking to get into business but are too scared to dive into the deep waters, here are 3 successful Kenyan entrepreneurs who have had enormous failures but still made it big. When you think of success, you think Tabitha Karanja. 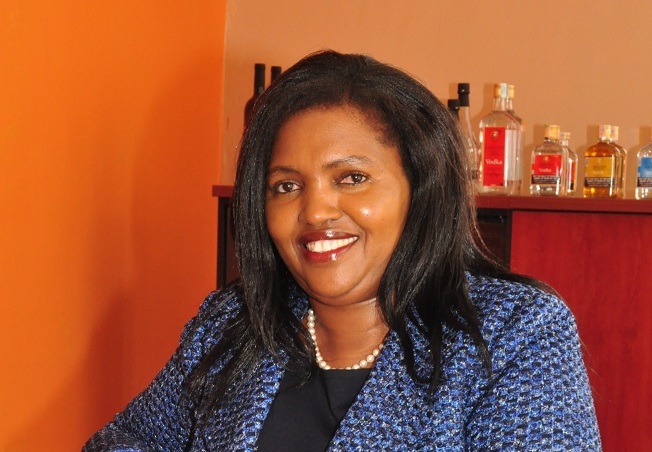 However, the Founder of Keroche Breweries has had to encounter so many challenges that could have completely set her back. Being a woman in a male dominated industry and getting into a business that was already monopolized, her resilience pushed through to make her one of the top entrepreneurs in Africa. Some of the major challenges she faced were a smear campaign against her drinks that claimed her drinks were unhealthy for consumption. She also had to fight a court battle on tax where she was asked to pay Ksh. 1.2 Billion in 14 days but she fought the case and won. At some point, Keroche Breweries billboards were pulled down upon charges of unethical trade practice; and these are just a few obstacles she faced. The way my challenges came you could never try to think of giving up because if I ever gave up, it meant that I could have hurt a generation, especially my children and anyone trying to come up in business. Then people would have later said… you remember that woman who started a beer business and closed down? She has gone on to win several awards such as the Business Woman of the year 2014 at the CNBC All Africa Business Leaders Awards, Transformational Business Award 2015 and Entrepreneurial Excellence in Africa Award just to mention a few. She also believes that women have an equal chance as men to succeed in business if they set their mind to it. Lesson; Don’t be afraid to take risks and walk the path that many seem to avoid. George Wachiuri is undoubtedly one of the most successful entrepreneurs in Kenya. The founder of Optiven Limited started his company 18 years ago with savings from his previous jobs. 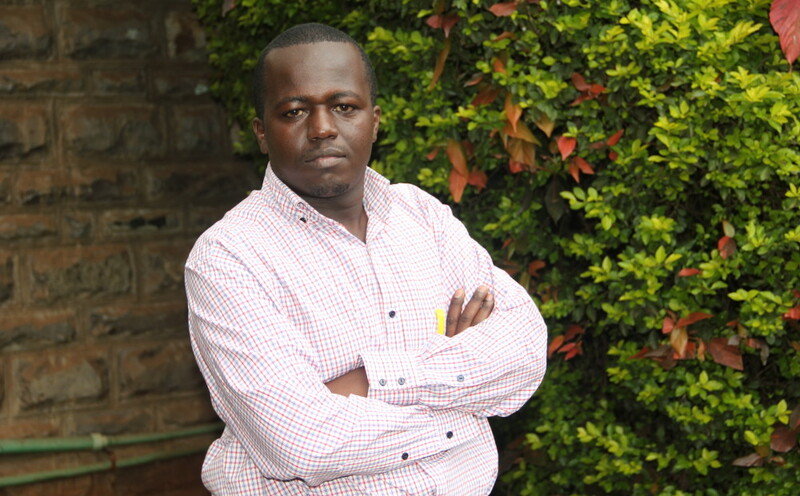 When he first got into real estate, his focus was on providing value added plots to Kenyans. However, it wasn’t easy at first. The first plot he bought worth Ksh. 5 Million ended up being a con and he lost all his savings. Things were not looking great. The huge loss took the company through a great depression and Mr. Wachiuri started applying for jobs in order to make ends meet. He got a job as a lecturer at a local University but his income still wasn’t enough to meet his needs. After the loss I swore that I would never do business again, but I remembered that winners never quit and quitters never win. 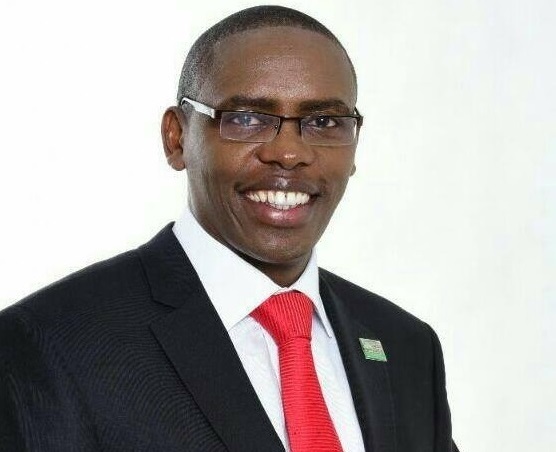 He then ventured into property investment afresh having learned from his past failure and went on to make Optiven Limited one of the most successful property investment companies in Kenya. Optiven has been continuously recognized for its impact to Kenyans and they have won several prestigious awards including coming first in the Kenya Top 100 SME competition and being voted a Super Brand. George was also recognized this year as the Best Entrepreneur at the Diaspora Entertainment Awards and Recognition (D.E.A.R). Lesson; Do not give up on your dreams even when you fail. Use your failure as a stepping stone and a lesson to do better next time. 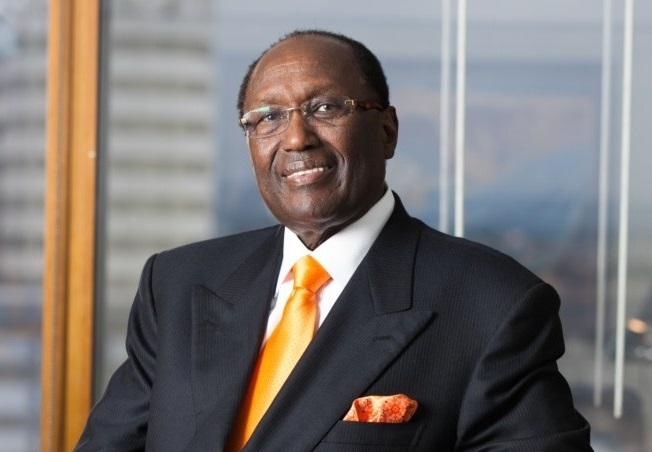 Unlike some of us who had a fairly easy childhood, Chris Kirubi grew up in a poor home, he lost his parents at an early age and he had to start work early in order to meet the daily needs of his family. This experience lay a foundation for him to become the successful entrepreneur he is today. However, building his business empire did not come without its fair share of challenges and failures along the way. One of his notable failures was when he tried to venture into the painting industry. Chris thought that as long as he produced quality paint, his product would sell. At the time, the paint industry was dominated by a few individuals who were also the major distributors and contractors. They were threatened by Kirubi’s new product and in order to stifle his product, no big contractor would buy his paint and there was no one willing to stock his product. The few who took his paint took it on credit with the promise to pay back but they never really paid him. After some time, Kirubi went into huge debt and he was forced to shut down the company. All this did not deter me from achieving my vision. It however gave me the strength and power to move on to better things. I became wiser and made sure that every business I invested in thereafter would be a success. Lesson; Know when to move on when something isn’t working but keep your dream intact. As an entrepreneur you’ll never be successful if you are unwilling to take risks. Have an open mind, push for the results you want to see and accept that at times, you will fail. However, do not allow your initial failures to define your entrepreneurship journey. More so, a failure may be the motivation you need to move forward.